I’m addicted. If there was ever any doubt in my mind it’s gone now. The iris potluck roving I got from Paradise Fibers was a dream to spin and I have enough to knit up a charming, and spring-like, shawlette. 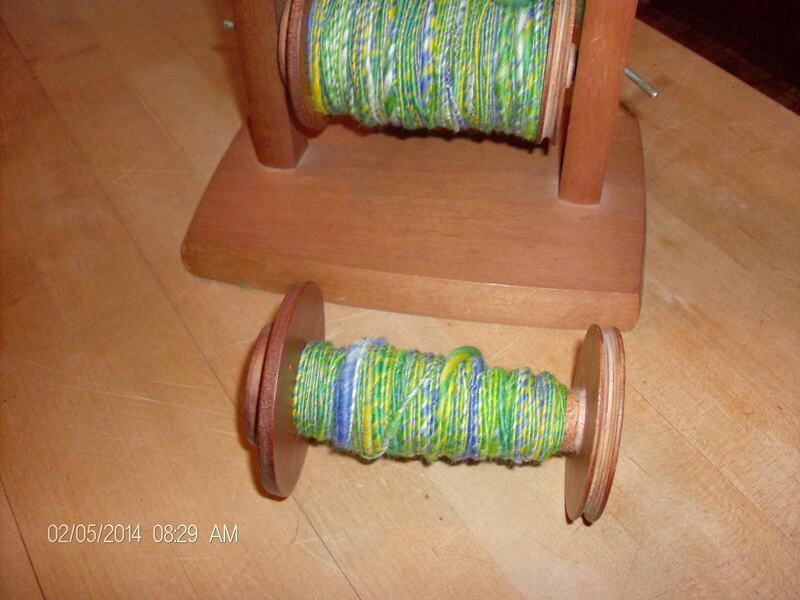 I’m thrilled that I’m finally spinning a thin enough yarn to knit or crochet. 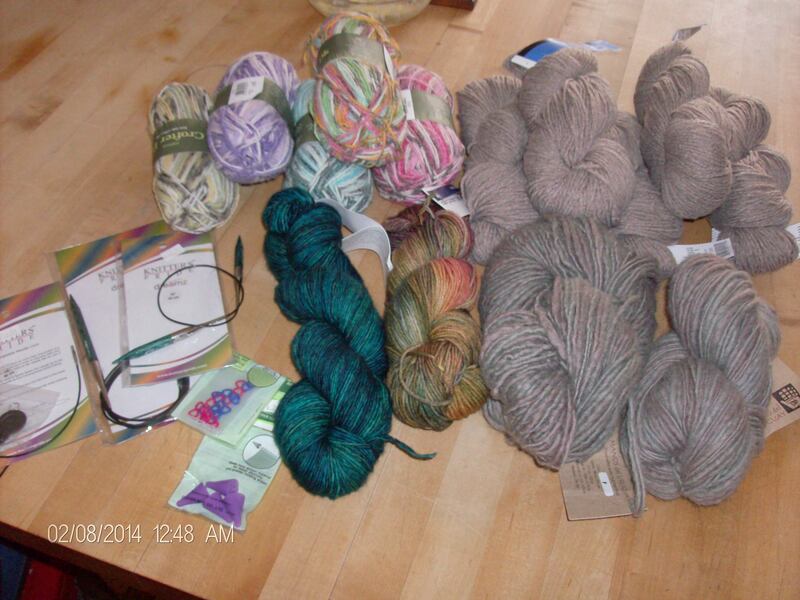 However, when a picture posted by Marji’s Yarncraft in Granby, CT prompted a yarn trip with 3 delightful women, I still came home with an armload. Now, I was a bit good, I also bought size 11 circular needles – Dreamz – in 16″ and 40″ figuring this would take care of any size 11 needle need I may have in the future, and I bought 5 skeins of lovely cotton yarn to make up some light scarves for summer shows, but I had a wildly selfish moment and purchased some yarns to use for me, myself, on cowls and a vest that I’ve wanted for quite some time. 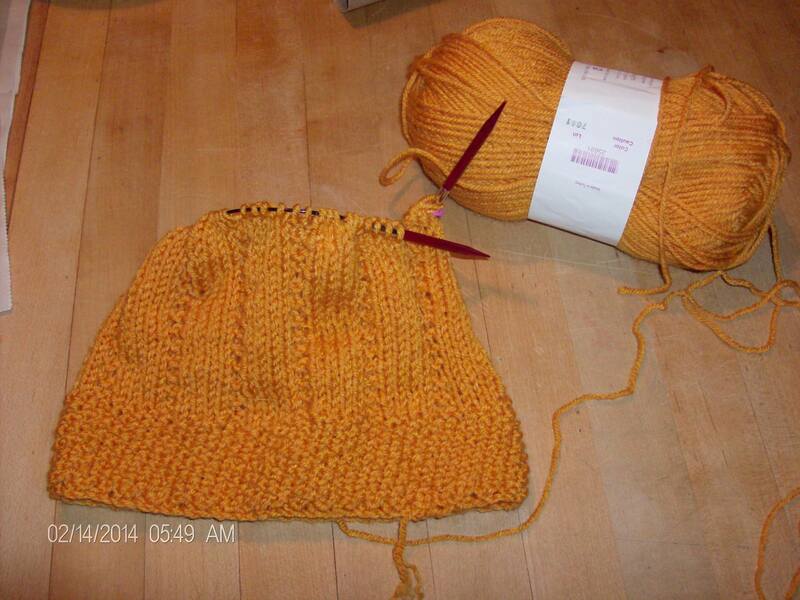 Now, one of the reasons I bought the yarns for myself is that almost everything I make I give away or sell. I went through a few of our bitterly cold days hatless because I didn’t have one with my coat and cowl. Felt a bit foolish, I did, when I thought about the case of them upstairs in my show stock. Then, when I tried shoveling wearing a roll brim felted hat during a very windy snow storm, I realized that I could probably take the time to make myself a proper hat. So, now I’m set for the rest of the winter…which is probably a good thing as it really hasn’t stopped snowing for long here and the winds have come to stay I fear, and this makes me ask the following question. How much of what you make is for you? Do you also tend to give it away or sell it?